Coconut-based granular activated carbon (GAC) The purity of the manufactured activated carbon is influenced by the raw materials used (e.g. wood contains calcium, coal contains iron) or from the activation agents used in chemical activation processes. The raw materials will have an impact on ash content and ash constituents. For example: to produce one ton of coal based activated carbon, we need approximately 3 to 4MT coal. Starting with a raw material that contains 3% versus 5% ash will result in an end product of 9% versus 15% ash or higher. If you need additional information about our range of product please do not hesitate and contact us. Fortunately, not all ash is leachable and metal leaching into a process stream is pH dependant. 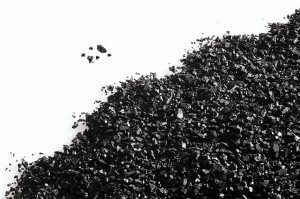 DESOTEC Activated Carbon offers a number of grades certified for very low levels of extractable minerals.